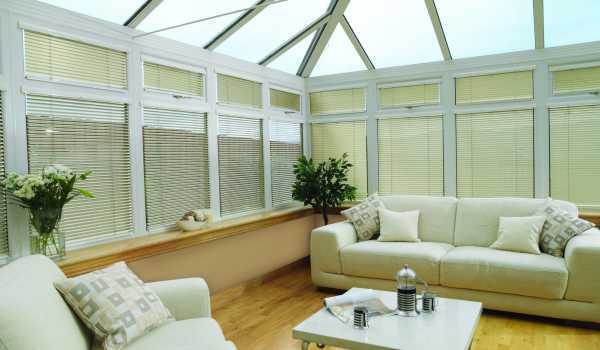 The conservatory offers quite the challenge to any homeowner in Warwick, Stratford, Leicester and beyond. 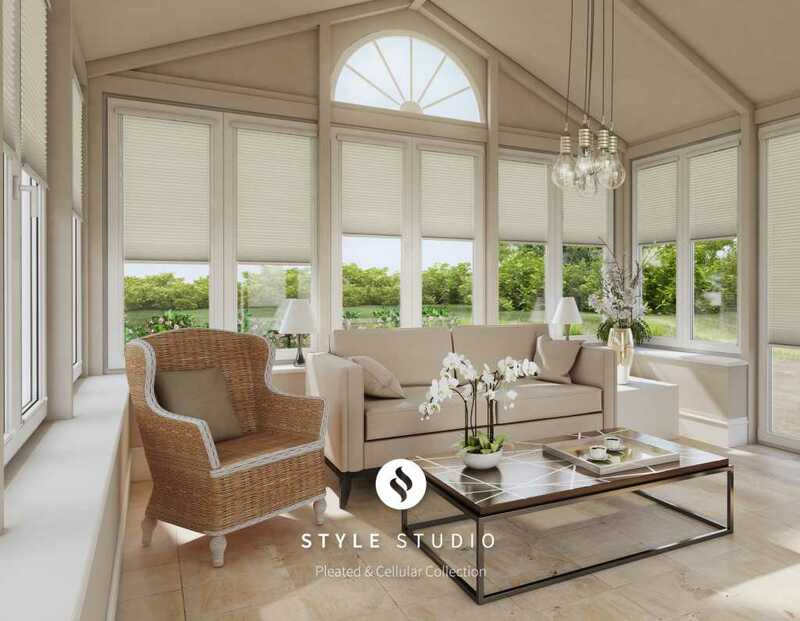 With so much window coverage on the sides and the roof, you will need a blind solution that is custom made with your conservatory in mind. 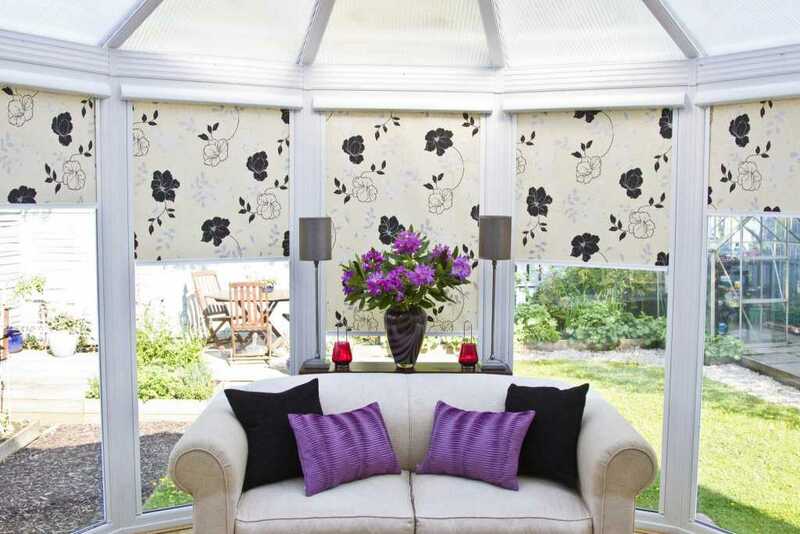 Here at Fraser James Blinds, we specialise in designing, manufacturing and installing bespoke conservatory blinds to create a comfortable and attractive interior during any season. 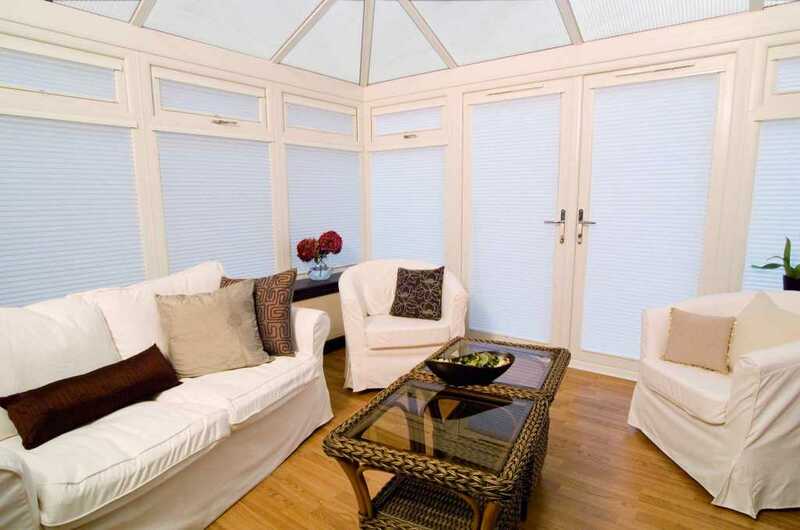 We have a number of dedicated conservatory blind solutions, bringing sleek and compact light control, as well as sun glare protection and insulation – all without sacrificing a beautiful, customised design. 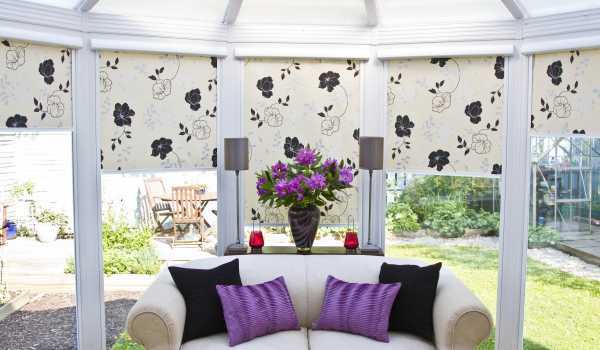 INTU roller blinds are a fantastic choice for your conservatory. 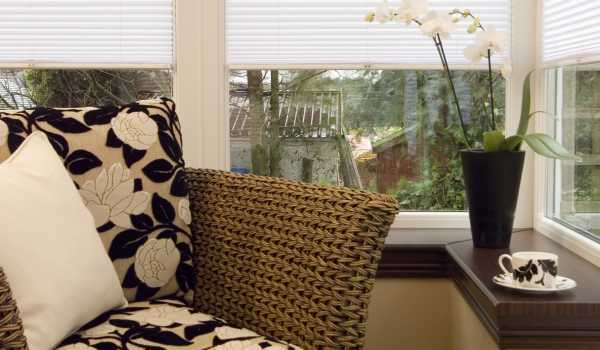 They require no drilling, fitting neatly into their own frame which can be made to measure for any window. 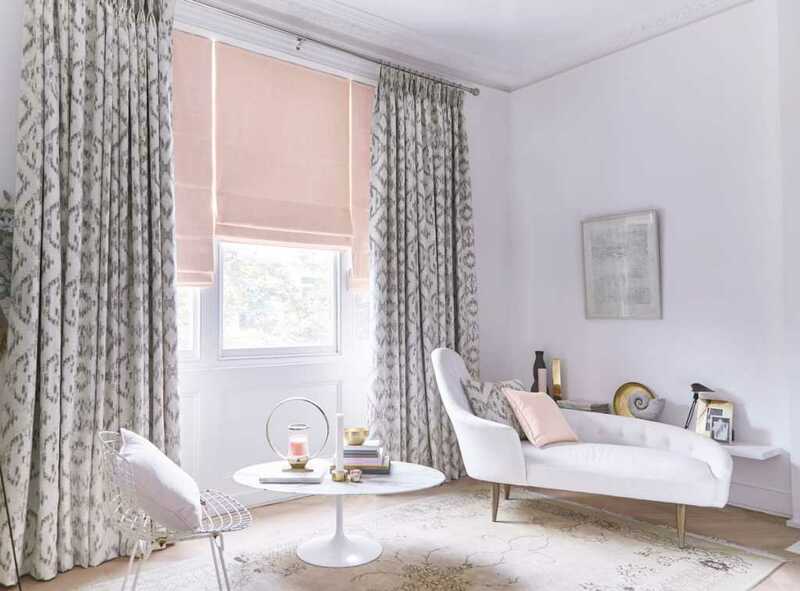 INTU roller blinds are child safe and simple to operate, with a sturdy and unobtrusive control bar adding practical beauty to your blinds, letting you control light levels with precision. 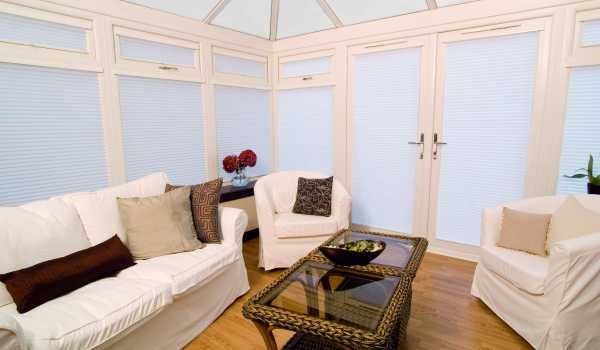 Our bespoke perfect fit Venetian and pleated blinds are another elegant choice for your conservatory. 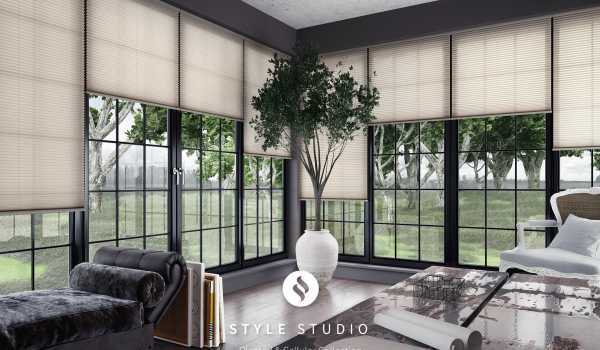 Aluminium Venetian blinds are hard wearing, standing up to direct sunlight while being easy to clean and maintain. 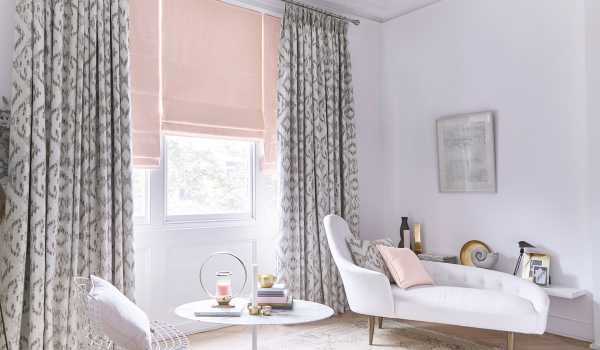 This means you can enjoy comprehensive and hassle-free light control which will help protect your delicate furniture from fading, while also reducing nasty glare on television, tablet, phone and computer screens. 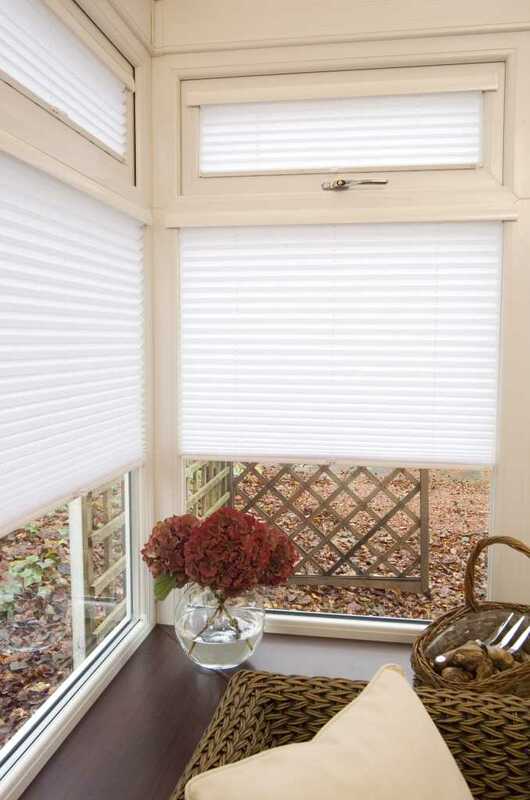 Like INTU blinds, the perfect fit system does away with the need for drilling. 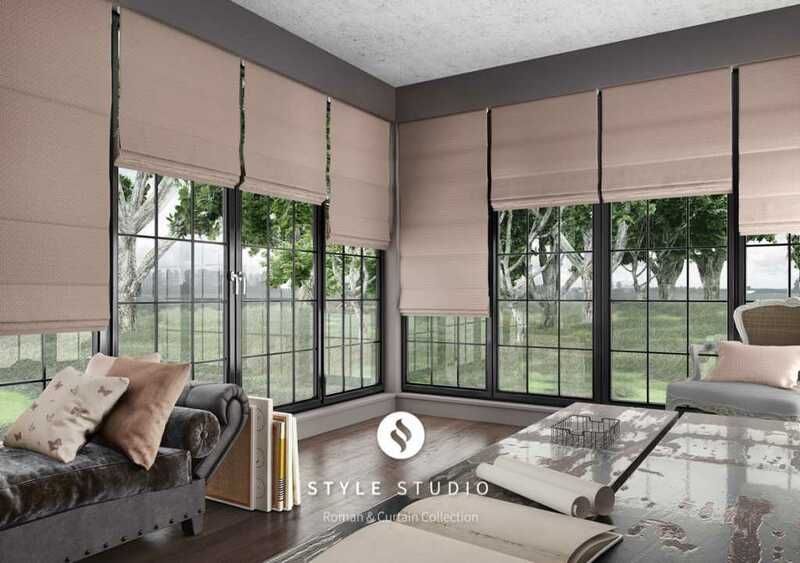 Your bespoke blinds will fit neatly within the window frame, and stay securely in place even when faced with draughts or gusts. 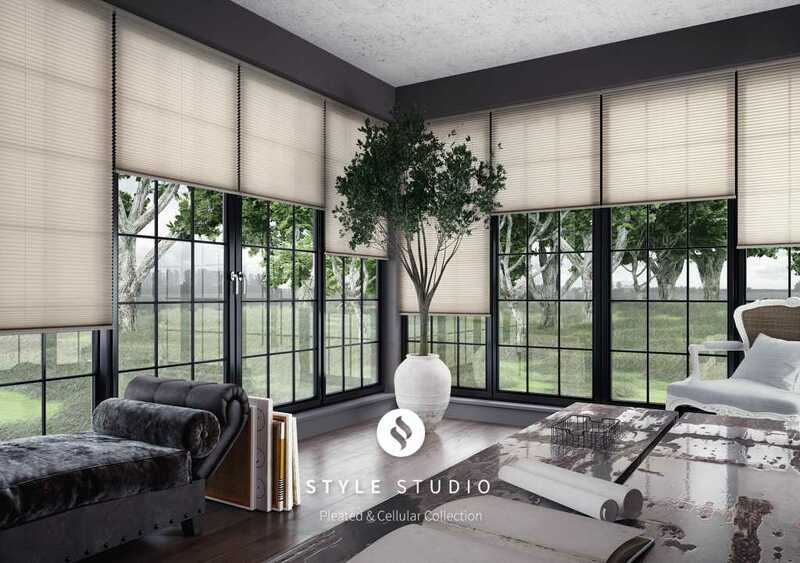 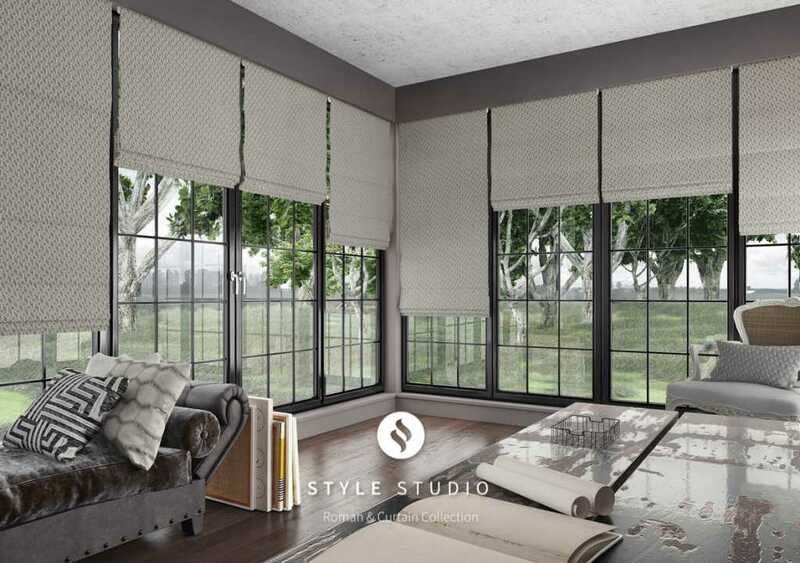 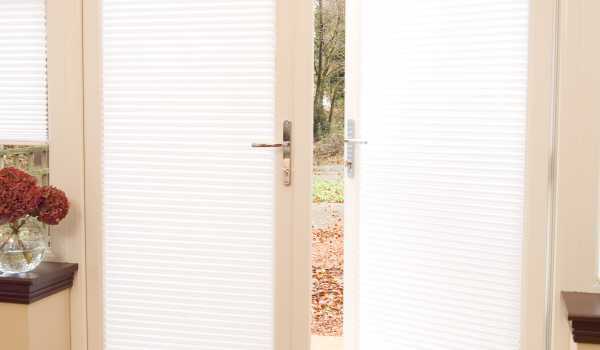 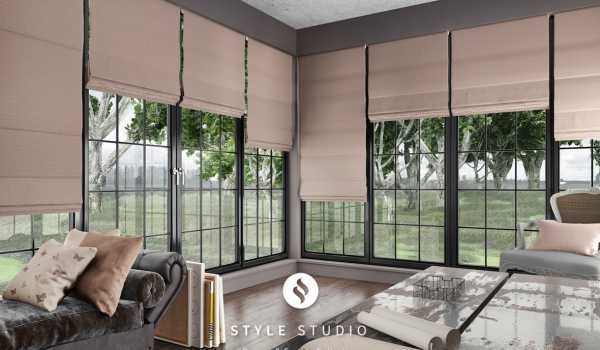 Our range of perfect fit blinds are available in a huge range of colours, designs and materials, with over 200 aluminium Venetian colours to choose from. 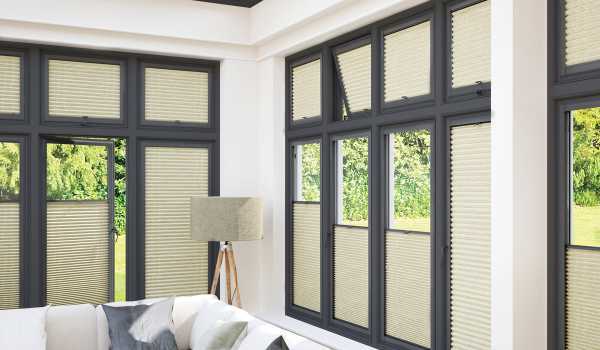 Perfect fit pleated blinds offer fantastic insulation as well as bringing a unique texture to your conservatory, which can really set a distinctive tone. 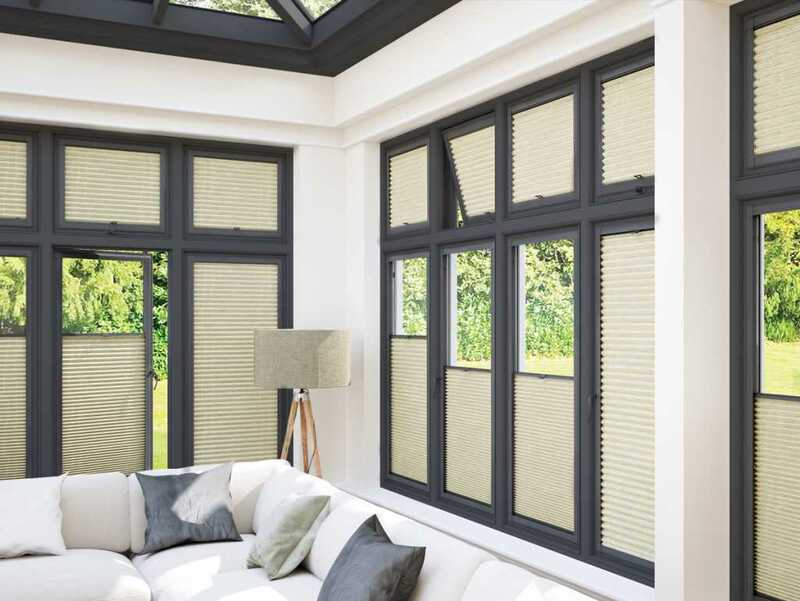 Pleated blinds are the best choice for the tricky conservatory roof, providing an elegant and coordinated solution which vastly reduces glare and helps save energy through effective insulation. 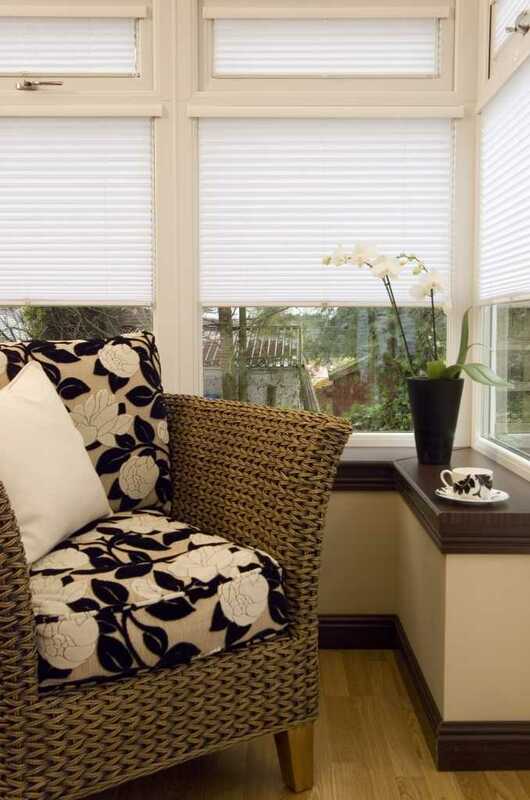 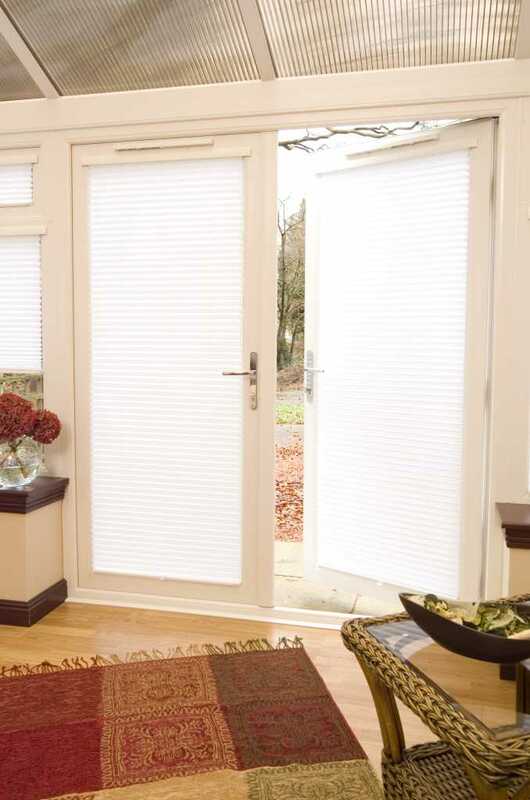 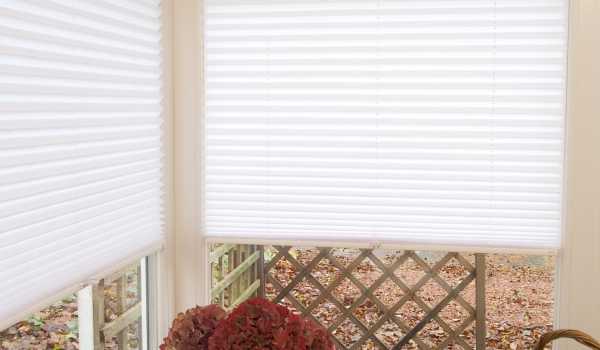 To avoid the headache of finding suitable blinds for your conservatory, get in touch with Fraser James Blinds today. 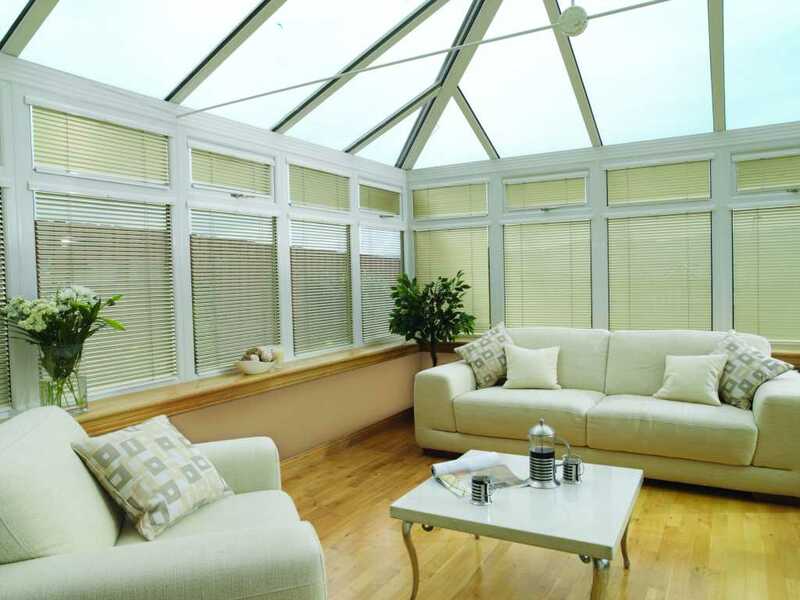 Our team of experts can advise you on the best blinds for your conservatory, offering free home consultation and measuring services to fulfill your specific needs.